Films about an empowered orphan, a struggling entertainer, a clumsy bear, a quadriplegic’s wife and a downtrodden boy. An empowered orphan, a struggling entertainer, a clumsy bear, a quadriplegic’s wife and a downtrodden boy – each one of these unlikely champions contributes a story that will fill out your family’s idea of just how unimportant worldly success can be. The Last Jedi presents us with one of the franchise’s most conflicted heroes. In The Force Awakens, Daisy Ridley’s budding Jedi, Rey, discovered the lonely planet on which Luke Skywalker was hiding. Now, in The Last Jedi, she begins her apprenticeship. 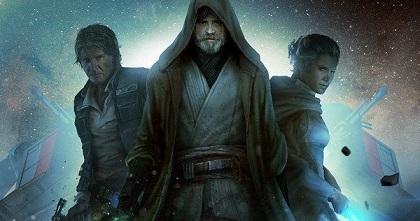 However, Luke entertains serious doubts that helping her to command her powerful connection with ‘the force’ will return the galaxy to balance. The Jedi master fears that Rey will follow in the footsteps of the twisted Kylo Ren, who in the last episode killed his father Han Solo. Rey is just as troubled by her master’s fears and seeks guidance in an unexpected direction. Star Wars is, as always, a human struggle to bring order out of chaos. “You find the most ancient story of good against evil, told in a most fascinating way”, says Gwendoline Christie, who plays the evil Captain Phasma. Yet the real pay-off for parents is the institution that takes centre place. “It’s about family”, said now-deceased Carrie Fisher, “and that’s what’s so powerful about it”. Kylo Ren can only draw closer to the dark side of the force if he distances himself from his natural and spiritual parents. However, in an age where it’s popular to encourage children to find their own way, The Last Jedi puts great weight in the wisdom of elders. Like the Bible, the path to understanding begins with acknowledging mums and dads might know better: “Listen, my son, to your father’s instruction and do not forsake your mother’s teaching. They are a garland to grace your head and a chain to adorn your neck” (Proverbs 1:8-9). 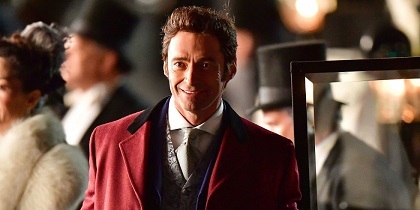 Hugh Jackman introduced the world to Australian culture in The Boy From Oz, uncovered the seeds of the French Revolution in Les Misérables, and is now setting the ‘American Dream’ to song in the musical, The Greatest Showman. The Greatest Showman is based on the life of real-life promoter, P.T Barnum, the founder of the Barnum & Bailey Circus. Phineas Taylor Barnum is working in a counting house that abruptly goes bankrupt. P.T. is frustrated by his inability to provide the life he promised his childhood sweetheart Charity (Michelle Williams). So, rather than return to another venture that might go bust, Phineas tells his family his idea for introducing America to a world of curiosities. What follows is a contraction of the historical Barnum’s life, leading to Jackman recruiting everyone from bearded ladies to ‘Siamese twins’ to create a spectacular singing and dancing show. Jackman doesn’t exploit the unusual humans he discovers, so much as celebrate the individuality each represents. “Every one of us is special, and nobody is like anyone else”, he tells the dubious little person soon to become The World’s Smallest Man. “That is the point of my show”. The real P.T. Barnum had a reputation as a hoaxster. However, this ‘value of the individual’ actually underlines his documented belief that God valued every human life: “A human soul, ‘that God has created and Christ died for,’ is not to be trifled with. It may tenant the body of a Chinaman, a Turk, an Arab or a Hottentot – it is still an immortal spirit”. The Greatest Showman is certain to entertain. I’m hoping it will also underline the value of the least regarded members of our society. 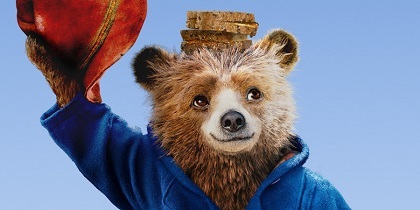 In 2014, Paddington was the surprise success of the winter film season, and the follow-up about the brave bear from darkest Peru will provide similar hijinks and an even stronger affirmation of the everyday hero. The second Paddington film opens with its clumsy bear a welcome member of the Brown family. However, he is missing his Aunt Lucy and hatches a plan to buy her an antique pop-up book. Paddington offers his skills as a window cleaner to the community, and predictable calamities ensue. However, before he can buy his gift a fading actor who recognises in it the secret to renewing his fortune steals it. Paddington is framed for the crime, and the Browns must come to his aid if he’s to prove his innocence and send his present on its way. Paddington 2 is a combination of slapstick routines that well suit young children. Its cast includes some of Britain’s best – Brendan Gleeson, Michael Gambon, Hugh Grant, Joanna Lumley – and, of course, the return of Ben Whishaw as the voice of Paddington. The value of the storyline, though, lies in the form Paddington’s heroism takes. Many children’s heroes are lauded for their superpowers and success. Paddington is valued not for his abilities but his desire to do his best, and his determination to see the same in everyone around him. “Paddington wouldn’t hesitate if any of us needed any help”, Mr Brown says. “He looks for the good in all of us”. It will be a welcome parallel for parents trying to teach their children that God isn’t looking for great deeds but a devoted heart: “Serve [God] with wholehearted devotion and with a willing mind, for the Lord searches every heart and understands every desire and every thought” (1 Chronicles 28:9). Although released in late October, Andy Serkis’ feature directorial debut is still worth a mention here. What Breathe lacks in special effects, it will more than makes up for in heart. It’s a disability story that follows firmly in the footsteps of ‘triumph of the will’ tales like The Theory of Everything, but with a much greater concept of selfless love. Breathe is the true story of Robin and Diana Cavendish. Robin, played by Andrew Garfield, is a tea importer who wins the heart of Claire Foy’s beautiful socialite, Diana. They marry and move to Kenya, but tragedy strikes when Robin contracts the polio virus. He returns to England a quadriplegic, totally dependent on machines to breathe. The best doctors believe he will never leave his hospital bed and Robin’s only request is, “kill me”. However, Diana is determined her husband will be part of their baby son’s life and kidnaps him from the hospital. What follows is the moving story of a family striving to get the best from a life others would consider meaningless. Breathe also sheds light on the creation of the world’s first wheelchair for quadriplegics, setting thousands free from well-intentioned prisons. If there is a low point in this heroic journey, though, it’s Robin’s attitude towards euthanasia. He is a self-made man who has no time for God, even though his physical redemption is all but miraculous. Robin’s determination to end his life on his own terms is appreciable but ultimately selfish. However, it does allow Diana to emerge as the film’s real heroine. Her every decision displays the self-sacrificing, others-oriented love that finds its ultimate home in the heart of God. 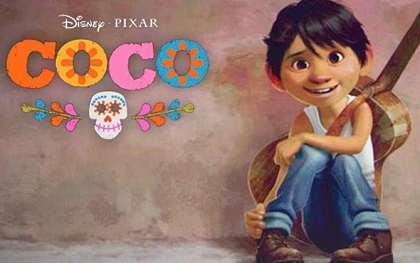 Coco is the next joint-release from animation giants Pixar Studios and Disney Animation. It tells the story of a young Mexican called Miguel whose musical dreams look as though they will never be fulfilled. Miguel’s great-great-grandfather was the famous performer Ernesto de la Cruz, who walked out with his guitar one day and never returned. Since then, Miguel’s family has looked on music as a curse and cut short his involvement at every opportunity. However, a visit to Ernesto’s tomb on Día de Muertos – the Day of the Dead festival – catapults Miguel into the afterlife. There he meets the skeletal remains of his long-dead family, and begins to unravel the true story behind his ancestor’s disappearance. Parents might be concerned by a storyline that involves dancing skeletons, but at one level Coco is merely a Latino Cinderella story. In this case, the heroine’s a boy and the much-hoped-for glass slipper is a musical career of his own. However, just like Cinderella, the odds are stacked against Miguel and, in the place of field mice and lizards, he has his dog Xolo and the boney spirit Hector to help him. What’s most worrying, though, is how the film uses memory to forge a link between the living and the dead. Hector tells Miguel, “When there’s no one left in the living world that remembers you, you disappear in this world”. It’s a 21st century philosophy that’s regularly peddled to children. Hollywood characters often tell children their loved one isn’t really gone, so long as they remember them. The result is an afterlife that’s more dependent on our loving memories than a loving God. Coco is another excellent Pixar animation, but a wise parent will add Jesus’ insights on life after death. Mark Hadley, film critic. 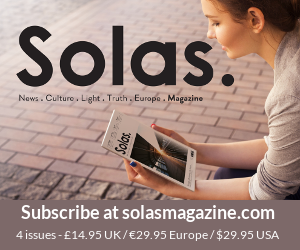 This article was published with permission of Solas magazine.